BeautyBay Evolve Eyeshadow Palette – Review & Swatches! When BeautyBay decided to release their own makeup line in the end of 2018, they were not joking! The first launch was three GIGANTIC palettes. My first thought was that I did not at all need a giant palette with neutral shades that I probably have already in my collection, but when I saw the bargain price for 42 shades I had to try. If these were good then you get a massive amount of eyeshadows for next to nothing and I had to try (so you don’t have to)! My impression is that these are made for people who may be a bit new to makeup. The reason is how the shadows are aligned. You have 7 rows that go from top to bottom and if you follow them step by step then the palette will help you put together shadows for a full look with 6 shadows in each look. I think that idea is clever because looking into a huge palette like this can easily be a bit overwhelming. I mean picking a few shades to do a look with in a sea of 42 shades can be a challenge in itself. But, the palettes help to guide you though a number of different complete look, and you can off course mix and match as you please too! If you are a beginner, or just find it a bit hard to compose a look I think this feature could be very helpful! This setup of a step by step guide is indeed a clever idea, but I am a bit puzzled over the arrangement. The first row is base shades, which would be a natural first step. The second is transition with a light shade to help you start create some depth and shadow to blend into, that’s also logical to me. Then you get crease as the third step, which is also how I usually do it. Then I get a bit puzzled because the forth step is liner, and it becomes before the fifth step that is pop. I am not quite sure what they meant with pop, but I figured that would be the lid shade. I don’t know about you but I never do my liner before I add the lid shade, I do it the other way around to get a tidy liner. The last step I find aligned with my sense of logic because I usually finish of the look with highlighter too, but I really feel like the forth and fifth row should switch place. In my opinion that would be a more user friendly step by step guide. Now, having 42 shades to play with is great and all, especially if you don’t have the biggest collection to begin with. But to be fair, there are not 42 shades in this palette. I am actually convinced that they put the same shade in the palette twice several times, because there are some shades that I can’t tell apart at all neither on the eyes, on swatches or in the pan. So strictly spoken, you don’t get 42 shades. you get 42 shadows which is a difference. I think the composition of the palette could be better in that way. Instead of repeating a lot of the matte shades, they could have been replaced with something more interesting to lift the whole appearance of the palette. There are at least 7 shadows in this palette that has a shade so similar that I can’t tell them apart. Even though 42 shadows are a lot, so is 7 duplicates in one palette! The palette does however give you everything you need. Absolutely all your basics are covered. I can’t really imagine someone missing a basic shade in this palette (but let me know if you do!). You do also get a nice selection of shimmers and highlighters. Some of the highlighters can be used on the cheeks as well, and if you are a proper multitasker some of the matte peachy and rosy shades looks good as a blush too! But the most important thing off course is performance, so how do these guys work? the mattes I am actually quite happy with. Pigmentation is definitely decent. Nothing like the pigmentation in for instance Subculture, but still good. I think I managed to get the color from the pan transferred to my eyes without having to spend to much time building up the color, but they are not so pigmented that you have to be very careful with them. Just somewhere in the middle, and I am usually happy as long as it looks like the same color on the eyes as I can see in the pan. The formula is a bit dusty so I do get some kick-up in the pan. I didn’t really experience much fallout, just a little bit with the darkest mattes. This is not the quickest formula to blend out though I will say. It’s not that they don’t get a seamless blend in the end, it’s just that I noticed I had to swipe my brush back and forth a little bit more than usual with these. The result in the end is blended and nice, it just takes a few seconds and a pinch of patience. The shimmer shades are not as good as the mattes in my opinion. They are a tiny bit on the sheer side, which means you have to build them up or use setting spray to get the color you see in the pan. With some of the shades, like the brown-green duochrome or the silver you get more like a wash of color with shimmer instead of the shade you see in the pan. Sure, you do get pretty looks with them, but I think they are a little bit too lackluster for me to really love them. They work just fine, you can get gorgeous looks, but they are a bit lackluster if you compare them to really nice shimmer formulas like Juvia’s Place for instance. I used this palette every day for well over a month in addition to do the looks I posted on Monday. Overall, I am happy with the looks I did and how it performed for my everyday makeup looks. I mean, this is clearly not my favorite formula, but it’s not bad either. It’s somewhere in the middle. You know, good enough for me to be willing to reach for the palette. I actually would not mind trying out some other palettes from the line. But, at the same time, this is not the best palette I’ve tried, and if you have a bit of eyeshadow palettes from before this will probably not be your favorite formula either. 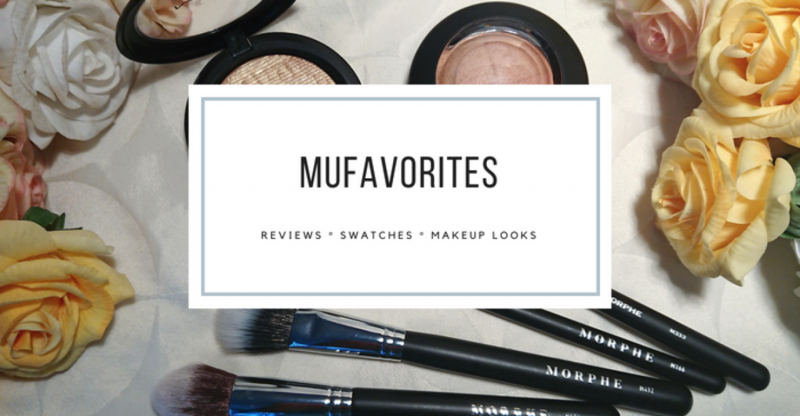 I think this is good for someone just starting out with makeup because you get a large selection of shades for a very affordable price, and the great thing about this is that you get absolutely every necessary neutral shade you can imagine. And for someone just starting out and trying to build a collection I think this is a good place to start. Not to say you can’t enjoy it if you already have a nice collection though, after all I did a lot of looks with this that I really liked. But my guess is that if you already have an extensive collection you got every single shade in here already, and given that these eyeshadows are good enough but not great you probably already have some better options. I am not terrified to continue testing the brand more though since I found this palette decent. I would like to test out some of their more colorful ones, but just for now I have a big enough pile of palettes I need to review! Did you try any of these 42 shade palettes by BeautyBays own line? Or did you try any of their newer smaller releases? Let me know what you think of them! Colourpop Crème De La Crème Highlighter Palette – Review! Great review!! It’s such a pretty palette but that is a shame they have that many colors that are duplicates! 😦 Love the swatches though!